عندما تزور راروتونجا, ستشعر أنك في بيتك في Pacific Resort Rarotonga الذي يقدم لك إقامة متميزة و خدمات عظيمة. يسهل الوصول إلى هذا الفندق ذو 4 نجوم من المطار، فهو يبعد عنه مسافة 13.1 KM فقط. بالنسبة لمن يريد الخروج، هذه بعض المعالم السياحية المتوفرة للزوار Captain Tamas Lagoon Cruises, Muri Beach, Avana Harbour. إن الخدمات الممتازة وحسن الضيافة العالي في Pacific Resort Rarotonga تجعل إقامتك تجربة لا تنسى. يقدم الفندق مكتب الاستقبال على مدار الساعة, تخزين الأمتعة, واي فاي في المناطق العامة, صف السيارات, خدمة الغرف لضمان الراحة القصوى لضيوفه. ادخل إلى واحدة من الغرف 64 وتخلص من عناء نهار طويل بمساعدة مجموعة كبيرة من الخدمات كمثل تلفزيون بشاشة مسطحة, غرف لغير المدخنين, مكيف هواء, مكتب, شرفة/ تراس الموجودة في بعض الغرف. صممت خدمات الاستجمام في الفندق والتي تتضمن حمام سباحة خارجي, سبا, تدليك, نادي للأطفال, مسبح (للأطفال) لمساعدتك على الاسترخاء والراحة. 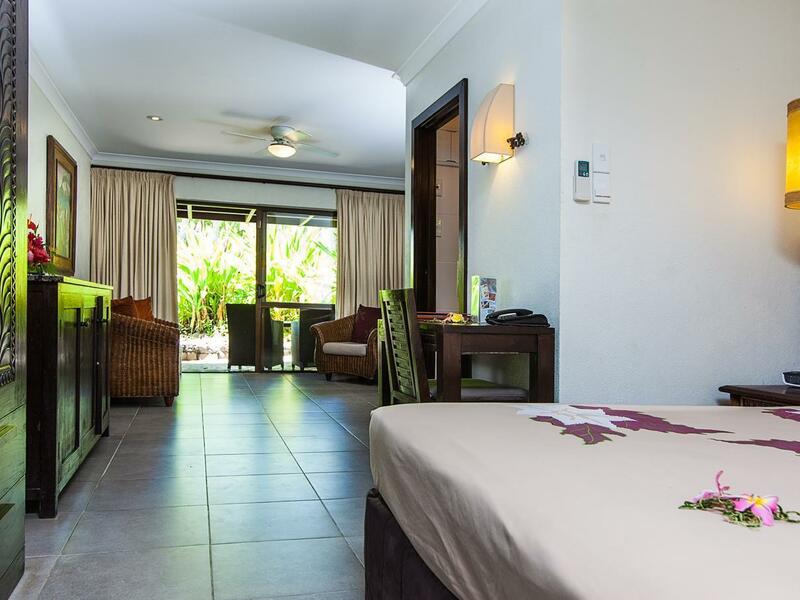 مهما كانت أسبابك لزيارة راروتونجا، فإن Pacific Resort Rarotonga هو الخيار الأفضل لإقامة مثيرة وممتعة. We have just returned from our fourth trip the the Cook Islands and have stayed in different places each time both on Rarotonga and Aitutaki and this resort is by far the best! It’s officially rated four star but is much more five star. As far as we could tell the missing star might only be accounted for by the absence of a gym and business centre. But who needs those on holiday! We will stay at pacific from this point on! What a great resort, and destination! The resort is immaculate, and the staff are super friendly and helpful. So great to find a place where the folks realize their livelihood is dependent on tourism and work very hard to make you want to visit again, and we will. Can't say enough nice things about the trip. I stayed for six nights at the pacific Resort Hotel. My room was first classs with a lovely view of the garden, the food was an excellent standard and the staff were second to none. 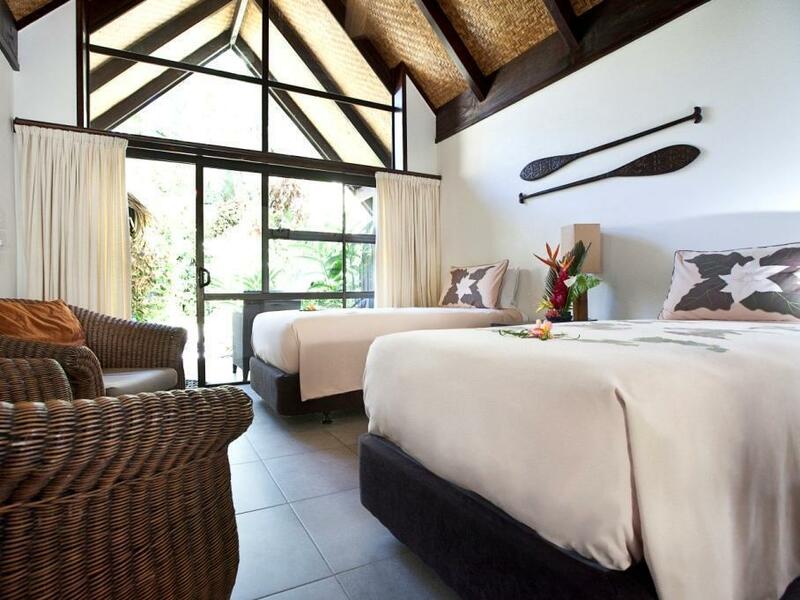 It is the perfect venue for that romantic getaway and the watwrsports are superb. Iwill certainly return. the price is very reasonable with very comfortable rooms. long extended outward of only few feet deep crystal clear warm beach, make it like a giant bath tub. it also make it an ideal place for families with children. so it can be hard to find a very quite area at the beach. it is a good place to learn kite surfing. Staff snobbish, loads of kids, spent the following 3 nights in a newer hotel next door at half the price. der garten der hotelanlage ist sehr gepflegt und wunderschön. auch der strand ist gepflegt und sehr schön: wahrscheinlich liegt die anlage an der schönsten stelle von rarotonga. die zimmer sind nicht gerade luxeriös, und einiges könnte mal wieder renoviert werden. das frühstück ist im angebot bescheiden, aber gut: es ist möglich, gegen aufpreis eierspeisen o.ä. zu bestellen.